So many kids I know love getting packages in the mail. Isn’t it great to know that this package will help them learn important skills to better prepare them for school, foster creativity and a love of reading, and teach them how to manage their feelings. My package arrived in a colorful blue box with an animated character on the front that would encourage a youngster to tear it right open and get started. Inside, I discovered a storybook, an activity book, word cards, a sturdy stand and instructions. 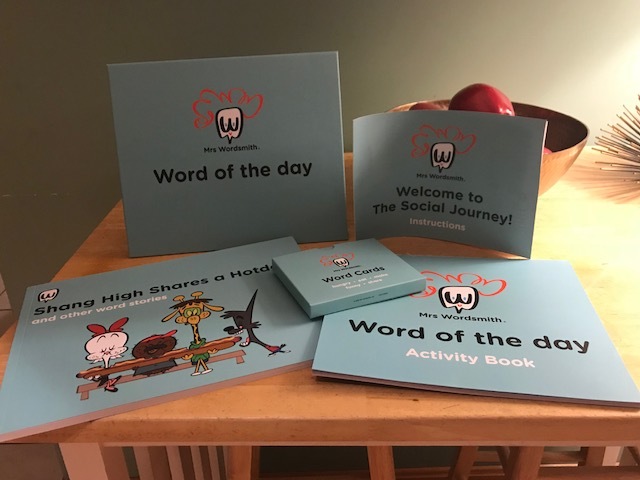 As you can see, the storybook, activity book and word card include matching artwork that allows your child to recognize all the month’s words and concepts through repetition. The artwork and storylines are so funny, parents and kids can enjoy a chuckle or two to make learning easier for everyone. These pictures can’t do the artwork justice. 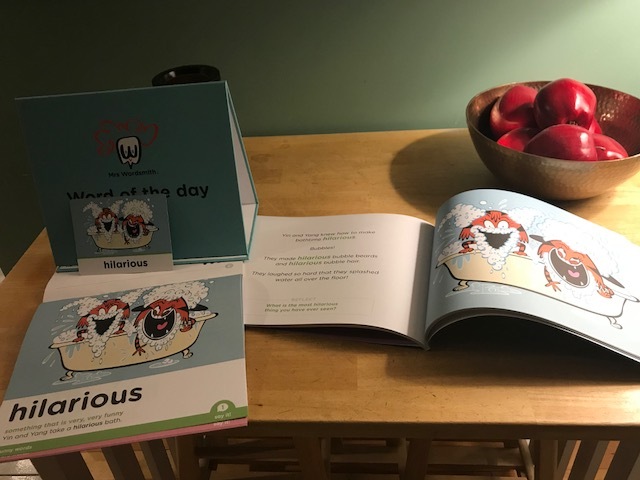 Vibrant colors and zany character antics and facial expressions ensure your child will be picking up the books numerous days out of the month. The storybook gets you started, but then you have days and days worth of activities to increase word use and comprehension. Coloring, drawing, writing practice and more can be found within these sheets that are easy to tear out. It is suggested you place the activity book on the included stand so your child can try out the activities whenever they feel like it. The word cards help when you are on the go or if you’re looking to spend some extra time playing word games. The first card gives you some ideas, but you can probably think up some of your own too. The Social Journey is available online for $22.49 a month (cancel anytime) or you can save $30 by making one payment of $239.40. Shipping within the United States is free. I wish The Social Journey was available when my girls were this age. A program that makes learning fun, fosters creativity and a love of reading, and helps children manage their feelings is destined to have a great impact on generations of children. I received a free Mrs. Wordsmith The Social Journey package thanks to Allison+Partners. This review contains my honest opinions, which I have not been compensated for in any way.